This standard provides a uniform procedure to measure and index the release of radionuclides from waste forms as a result of leaching in demineralized water for 5 days. The results of this procedure do not apply to any specific environmental situation except through correlative studies of actual disposal site conditions. 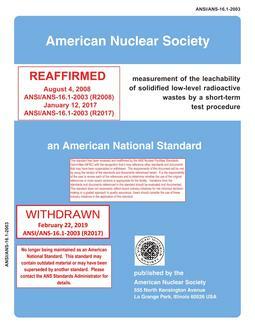 The test presented in this standard has much in common with the original International Atomic Energy Agency proposal and has by now become familiar to those working in the radioactive waste-form development field. 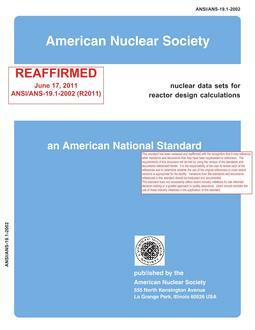 It contains the provisions published in the original version of this standard in 1986.